MLA (1937-1940), MLA (1941-1945), MLA (1946-1949), MLA (1950-1953), MLA (1954-1957), MLA (1958-1959), MLA (1959-1962). Born in Waterloo County, Ontario, he served in the Candian Expeditionary Force from 1916 and was twice wounded in France. 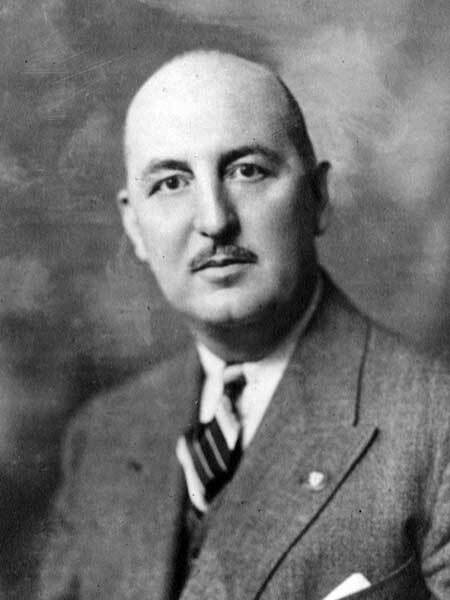 Miller first entered the political arena and was beaten in 1935 when he ran for a federal seat. He was elected MLA from Morden-Rhineland in 1936. Re-elected in 1941, he resigned four years later to make another unsuccessful attempt in federal politics. Later in 1945 he re-entered the provincial field, took the Rhineland seat and was re-elected or acclaimed in 1949, 1953, 1958, and 1959. First running as a Conservative, he became a Coalition Conservative in 1940 and a Liberal in 1950. Many criticized him for his changes of party, but his constituents continued to support him through the changes. He was a candidate for the Lisgar constituency in the 1945 federal election but was defeated by incumbent Howard W. Winkler. He served as Provincial Secretary (1948-1950), Speaker of the Legislature (1950), and Minister of Education (1950-1958). He died at Winnipeg in October 1959. He is commemorated by W. C. Miller Collegiate in Altona. Obituary, Western Municipal News, November 1959, page 355.